Brrr, this hasn’t been a warm summer so far has it? Are you dreaming of some proper sunshine and some beautiful far off beach where the water is the temperature of a warm bath and the sky is always a perfect blue? Well forget the Mediterranean or the Caribbean, Africa has some truly gorgeous island getaways just right for escaping our typically British wet summer or at any time of the year. Way back in January we covered the first five of our top ten island getaways and now it’s time to reveal the next five. Some are tiny with just a handful of rustic hideaways whilst others are much larger and more established with lots of luxury hotels, fantastic water-sports and world class restaurants. All of them have sublime scenery; some have dramatic rocky coves whilst others have dreamy beaches with white sand and turquoise waters. Here are the next 5 in our favourite top 10 as voted by the Real Africa team. Zanzibar is still commonly known as the Spice Island (although its official name is Unguja or Zanzibar Island). 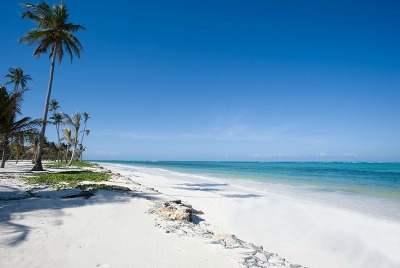 It is the largest and most populated island of the semi-autonomous archipelago of Zanzibar, off the coast of Tanzania. The African island has been for centuries an important trading centre, a melting pot of African, Indian and Arab influences. Zanzibar’s major attraction is Stone Town, with its whitewashed colonial houses, charming shops, bazaars, mosques, shady squares and intriguing courtyards. Stone Town is a very atmospheric, exotic, exciting and historical town where you can catch glimpses the sea and boats plying their trade in and out of the bustling port. Many buildings are crumbling away and there are tiny alleyways to wander down, bustling markets and the smell of spices fill the air. Another big attraction are the beautiful white sandy beaches lapped by the turquoise sea. The coast of Zanzibar is truly spectacular and all the beaches are stunning from rocky coves to huge stretches of perfect palm backed soft white sand. There are a wide range of hotels here with small boutique five star options such as the fabulous Baraza Resort to larger more family friendly options. There are places to choose for their seclusion and tranquillity and places to go for fabulous food and nightlife. Many of the larger resorts offer great water-sports facilities and fabulous excursions such as dhow cruises and dolphin safaris. The Seychelles are being included as a group of islands, mainly for the reason that I cannot pick one over the other! There are several islands where we offer a fabulous beach getaway; from the larger Mahe and Praslin to the smaller private islands of Bird Island and Denis Island. Once a hideaway for pirates and Arab merchants the islands now a popular tourist destination with many different hotels and resorts. Its white sandy beaches are among the most beautiful in the world and you may well have seen these iconic beaches in photographs before. The palm trees, soft white sand, huge granite boulders and turquoise waters are truly perfect. The Seychelles also have substantial expanses of tropical forests with birds such as the endemic Seychelles Bulbul. You can chose from quiet little boutique hotels perfect for a honeymoon to large family friendly resorts with fantastic water-sports across the Seychelles and all the islands have something different to offer. The snorkelling and scuba diving is wonderful with coral reefs providing a home to a huge range of marine life. We like Praslin for its pretty scenery and its glorious beaches but all the islands are fabulous. If you are looking for luxury, romance, style and the most incredible white sandy beaches on a private island – then Denis Island is the place for you! We also offer hotels on La Digue, Mahe, and Bird Island. Funzi Island is a tiny island off the coast of Kenya sitting in the middle of the gloriously warm and crystal clear Indian Ocean. It is easy to reach being only 15 minutes by air from Mombasa. 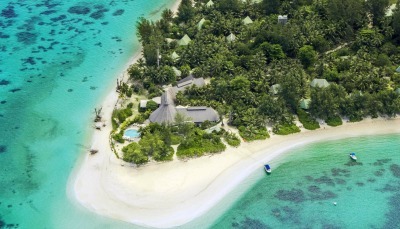 This is the place to come for a true Robinson Crusoe style getaway. Although this is barefoot luxury not basic! If you want to stay on Funzi Island you will stay at the lovely Funzi Keys which nestles peacefully in the private white sands of its own peninsula. Designed to blend unobtrusively with its idyllic beachfront setting and to reflect the influence of the local culture and coastal architecture, the accommodation consists of nine spacious sea front cottages set along the high-water line and eight sea view cottages, all constructed of stone and thatch with large netted windows open to the balmy sea breezes. Surrounded by water and superbly located on a west-facing beach with glorious views of the African sunset, this remote and exclusive hideaway is the perfect place to escape from the outside world in style. 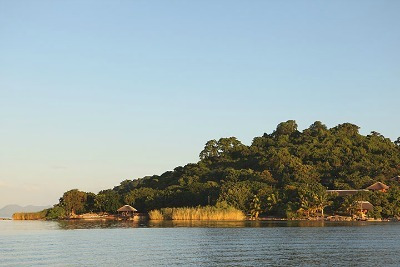 Nankoma Island is one of many different islands on Lake Malawi. 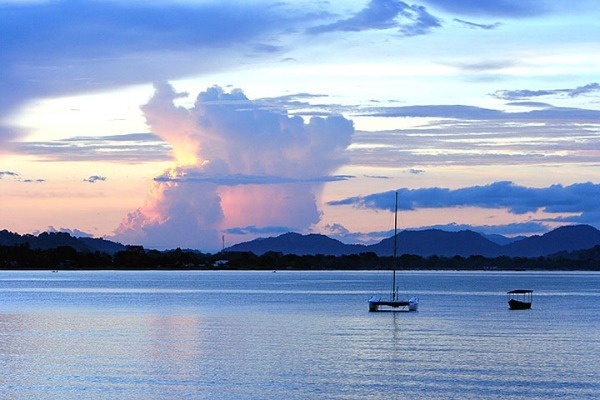 Lake Malawi is like a beautiful inland sea due to its enormous size. The waters are crystal clear and warm and perfect for swimming in. You will find many different white sandy beaches around the lake and islands as well as rocky coves, laid back beach bars, expensive boutique hotels, tiny rustic lodges and bustling towns. There is something for everyone here and it works perfectly as a beach extension at the end of a safari in Malawi. Tucked away on Nankoma Island, a part of the Marelli Island archipelago, is the Blue Zebra Island Lodge. The lodge is a simple, eco-friendly place with rustic safari chalets which are great for those who want to make the most of the location for water sports and scuba diving and who are looking for a laidback informal type of holiday. For those who don’t want a safari tent you can also book a larger more private wooden style chalets called the Kingfisher, the Cormorant and the Fish Eagle. It is also a great place for families. Mauritius is a huge island and country in its own right. It is a beautiful, lush green island that offers the visitor lots to see and do. There are national parks to visit, mountains to climb, waterfalls to gawp at, hiking trails to explore and bustling markets to shop in. The scenery and wildlife of Mauritius are wonderful and this is a great family destination. Port Louis is the beautiful and atmospheric French Creole capital with lots of French colonial architecture but also many foreign influences as befits its place in the Indian Ocean between Africa and Orient. There are lots of wonderful restaurants, shops and galleries across the island so you will never be bored. 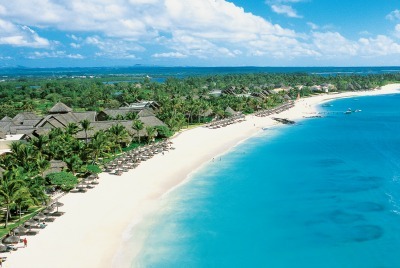 But of course, Mauritius is most famous for its wonderful coastline and amazing beaches. White sandy beaches backed by palm trees and the soaring volcanic peaks. And the water is crystal clear and warm with wonderful coral reefs and abundant marine life meaning this is a fantastic place for snorkelling and scuba diving. If you are looking for somewhere lively then you should head north to Grand Baie, where you’ll find a lively restaurant and bar scene. If you love water-sports and windsurfing and kitesurfing then the north is the best part of the island for you. The east coast is best for beach lovers and the south-west corner is a family favourite with calmer waters and some excellent diving and dolphin-spotting too. We offer the Constance Belle Mare Plage in Mauritius, a wonderful luxury beach resort on the East Coast. Set in beautiful tropical gardens of almost 20 acres and 158 acres for the golf course, the hotel is surrounded by lush greenery making for a tranquil retreat. The beach itself is protected by an offshore coral reef making it ideal for swimming and water sports. So now you can dream all about tropical islands in Africa and the Indian Ocean. You can find out much more on our lodge library at the top of the home page where you can find all our beach retreats or follow the link here. Or you could give us a call and let us know just what kind of place you are dreaming of and we can fix you up!